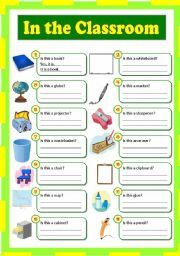 This worksheet is prepared for the upper elementary students. 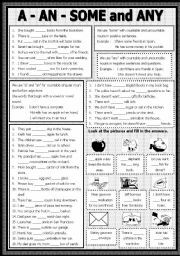 Part A Fill in the blanks with the correct verbs and label the pictures. 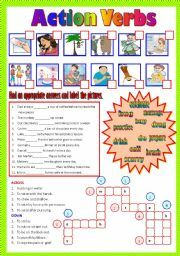 Part B It is a crossword activity, students are required to look at the clue given and fill in the answers. ( To go away from - leave) Thanks for the wonderful comments and have a fabulous Wednesday. 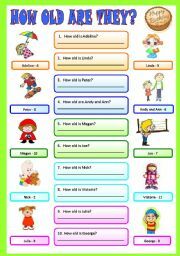 I prepared this ws for the younger students. This is their first writing revision on present simple, so I made it very simple in order for them to understand better. HAPPY NEW YEAR TO ALL ESL TEACHERS!! This is for upper elementary . 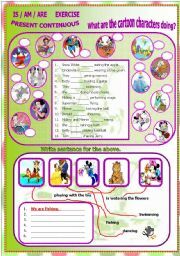 It consists of writing and matching activities. A short reading passage and a matching activity whereby I make use of the opportunity to teach them the new vocab. I also use this reading activity to teach : What sports do you like? 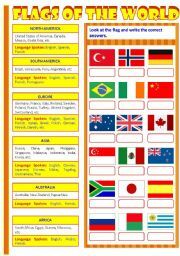 Happy New Year to all ESL TEACHERS. This is another worksheet I gave my class as homework. Hope you find it useful. Thanks for downloading. 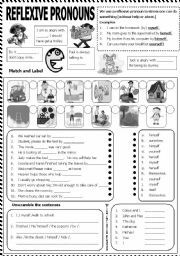 A worksheet I prepared for my class as homework, the students have to look at the pictures and fill in the sentences. Thanks for all the wonderful comments and have a nice day dear TEACHERS.